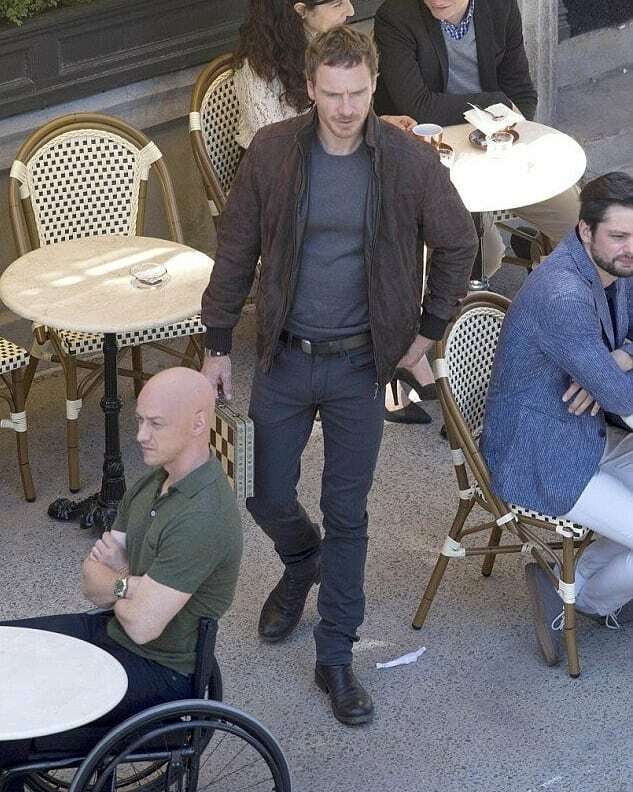 The much-discussed reshoots for X-Men: Dark Phoenix are currently underway and a few new set photos from shooting in Montreal reveal what looks to be a pivotal scene from the upcoming – and possibly last – Marvel movie from 20th Century Fox. Originally scheduled to release in November, the pic’s been delayed until 2019 and for a long time, many were convinced that the project was on the verge of being cancelled for good. Given that the reshoots are still ongoing, though, it seems that the doomsday scenario for the movie isn’t going to come to pass, but it still leaves Dark Phoenix with a big, ominous question mark hanging over it. Presumably, some official footage will make its way online soon (Fox did show off a trailer overseas last week, after all), but until then, set photos are all we’ve got to go on. 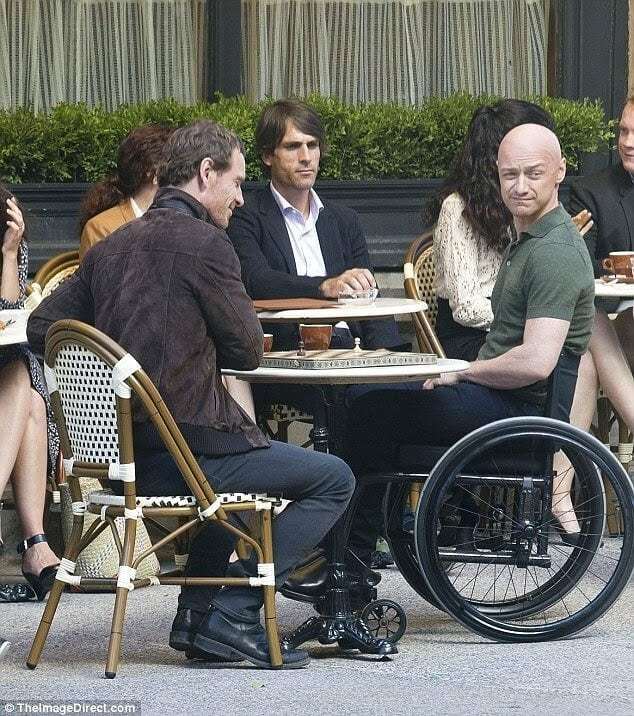 And seen in the gallery down below you’ll find two new snaps that feature Michael Fassbender’s Magneto reuniting with his old pal Professor X (James McAvoy) for what appears to be a game of chess. The context of the scene beyond that’s unknown, but it’s nice to see the characters back together again regardless. It’s unclear exactly what director Simon Kinberg and Co. are looking to fix/change with these reshoots, but Sophie Turner recently told us that it’s “just a few bits and bobs” that need to be touched up. As for the shift to February, the Game of Thrones actress is hoping that Dark Phoenix can channel a little magic from Marvel’s Black Panther, which did huge numbers ($1.3 billion) in the same month this year. I think it’s just a few bits and bobs, reshoot-wise. To be honest, I don’t even know what we’re reshooting at the moment. So I couldn’t really tell you much about that one. All I know is that I’ll be back in Montreal at some point soon, and that the Valentine’s Day release date is quite a positive thing, because Black Panther got released on Valentine’s Day. So we’re keeping positive about it. Led by James McAvoy, Michael Fassbender, Jennifer Lawrence, Sophie Turner and Jessica Chastain, Dark Phoenix is currently scheduled for release on February 14th – the date once occupied by Gambit, another long-delayed X-Men pic – and as soon as that first trailer arrives (it should be any week now), we’ll be sure to let you know.